It enjoys a very favourable microclimate of consistent ventilation and strong thermal excursions. The farm extends over some 1,200 hectares, with 110 hectares of vineyards, 60 of olive groves and 400 hectares of mixed crop. During the harvest, great care is taken in selecting the grapes, first on a vibrating table and secondly on a tapis roulant. The vineyards extend over 110 hectares most of which are planted with Sangiovese, accurately selected from autochthonous vines in co-operation with the University of Pisa. 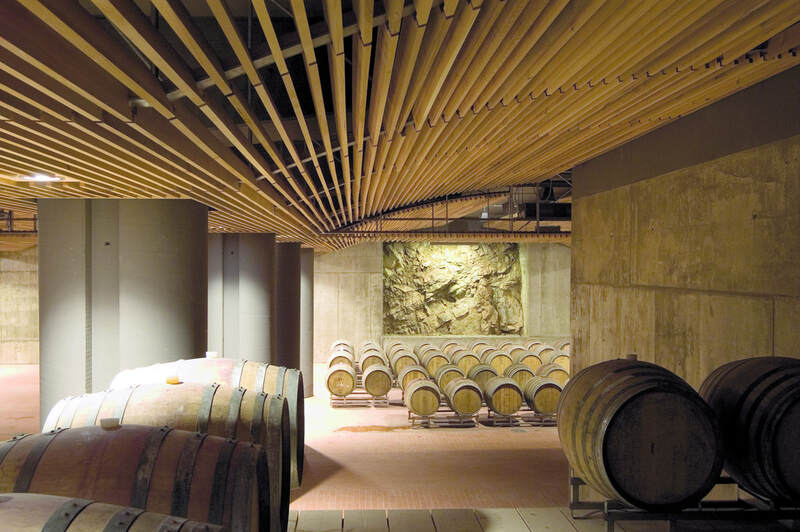 Particularly interesting is the vertical structure of the cellars, conceived as a big underground lab of more than 6.000 square meters, based on the principles of bio-architecture, energy saving, of the quality of working environment and biodynamical engineering; it develops itself on four levels and it allows the moving of the grapes and of the must without pumps.